This Real Solutions by Knape & Vogt Double 33.1 L Platinum Soft Close Trash unit features a heavy duty plastic platform for durability and ease of cleaning. Holds 2 garbage cans on a pull-out system installs easily with only 4 screws. Decorative rail accents can be customized to match countertops or cabinetry. Features a platinum finish. The Premium Buddy Bench by Paris Site Furnishings is a tool designed to eliminate loneliness and promote friendships on the playground. It is constructed of heavy duty steel and Cast Aluminum for stability and quality structure. The bench ends, seat and back are sandblasted prior to an e-coat surface treatment, and finished off with a thermally bonded powder coat paint finish, assuring long lasting beauty. The bench comes with pre-drilled foot plates that easily mount with the included concrete stud anchors. When properly installed the bench will remain stable and secure, avoiding tipping and theft. The Premium Buddy Bench will provide a comfortable and safe environment for children and compliment any playground. 34 Gal. 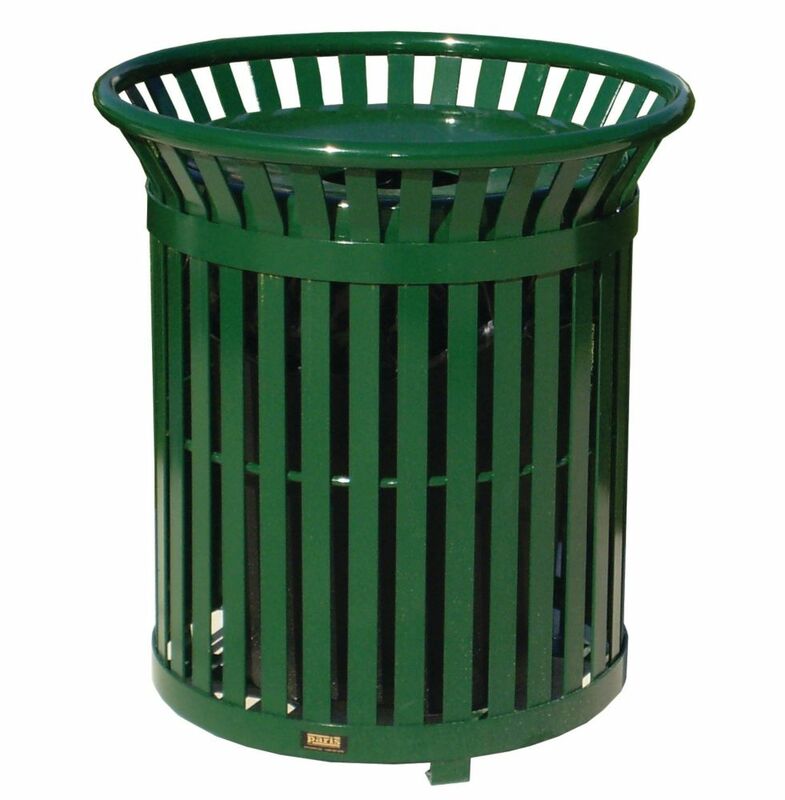 Green Steel Outdoor Trash Can with Steel Lid and Plastic Liner Paris Premier Benches are a welcome addition to any setting. They provide classic good looks, comfortable contours and rugged durability. The fully welded, all-steel construction means that no assembly is required. The thermally bonded powder coating also assures long-lasting beauty.